Hey guys! I'm back for challenge #22 with Scrapbook Blessings Club. As always, it's "Anything Goes." Meaning, you can literally create and link up ANY type of project, but you get an extra entry if you play along with our theme of a Bookmark Fold Card. Hop on over to this post to see all the wonderful cards my dt sisters created and to link up your creations. 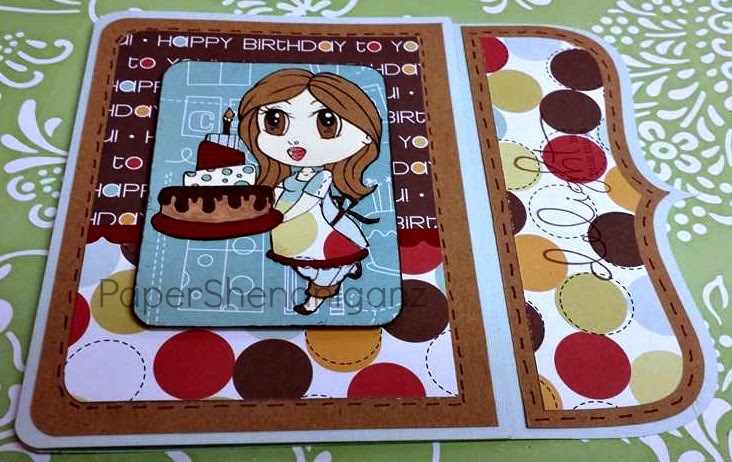 You'll also find a tutorial there on how to make this card, in case you've never made one before. 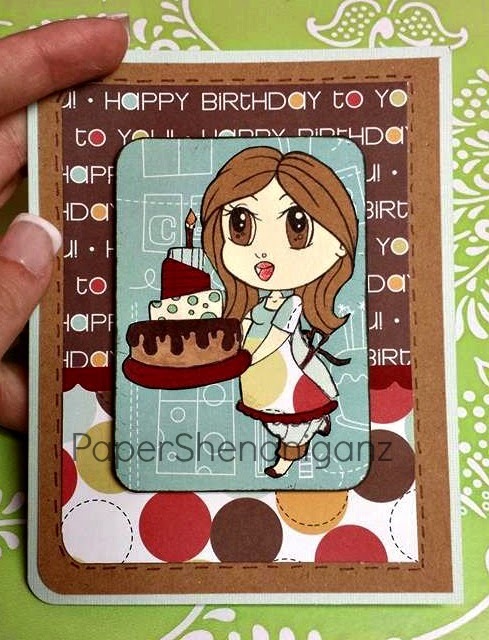 I also used a Digi Stamp from The Stamping Chef. Here is a link to the image I used, called Betty Butterfingers. Now, let me show you what I made. The idea behind these cards is that you're giving the recipient a removable bookmark to use as well. There is some type of perforated edge they can just carefully pull the bookmark off with. It's like a gift and a card in one. I made this card base using my Silhouette Cameo. Leave your email below if you'd like the .studio file for it. It's super simple, and you could probably recreate something similar yourself. Hope you try and make one of these cards yourself! 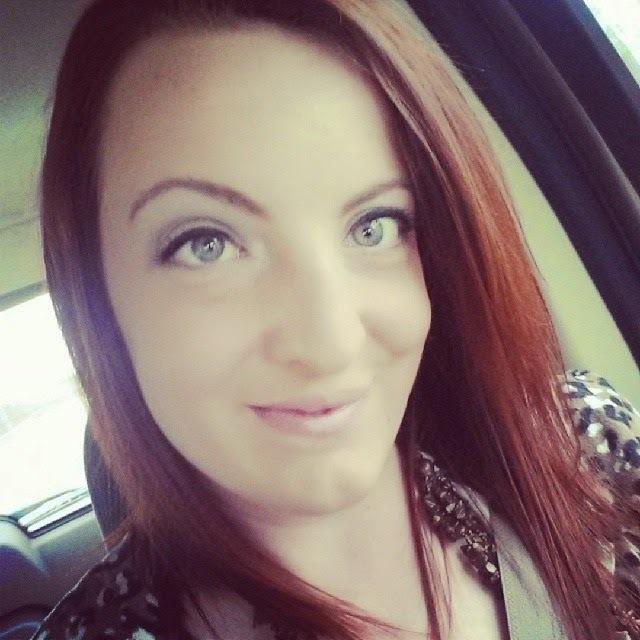 Be sure to pop on over to SBC and link up.